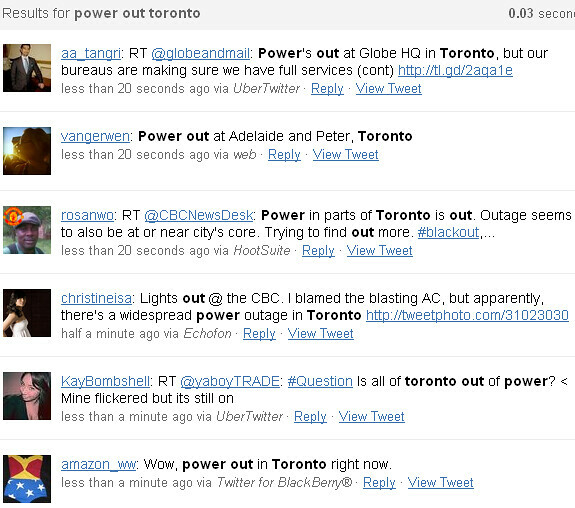 The power seems to be out in most of Toronto. I'm told an explosion at a transformer station has caused a widespread power outage affecting large parts of the downtown and west end. Was all of the power used up by the gay folks? Gee Sammi, I do hope in a brotherly love way.